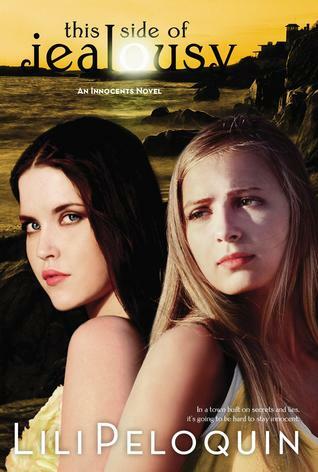 This Side of Jealousy is the second book of the Innocents novel. It's about two sisters, Alice and Charlie, and their new life with their mom and and step dad in the town Serenity Point. The sisters can't seem to stop fighting about everything and they are both keeping secrets from each other and the ones that they love. Their step sister, Camilla who killed herself just a year ago, still haunts Alice for reasons that Charlie doesn't understand. Alice is dating Camilla's old boyfriend and is also hiding a secret that can break them up for good. The secrets that Alice and Charlie's mother is hiding is catching up to her, and only one of the girls know and they have to let the other know before it comes out from someone else. Serenity Point is a town that is made up of lies and secrets that some people do not want to resurface again. This mystery novel is written in third person and can get a little confusing who the character is in some parts. It's a great book for teenagers and young adult, it does have some foul language. But, this novel is great for anyone that loves a mystery/thriller story!